There is no doubt that Saban has racked up W’s for Alabama. That’s a hard fact. What we here at FNS look to dig deeper into are the facts behind the facts. 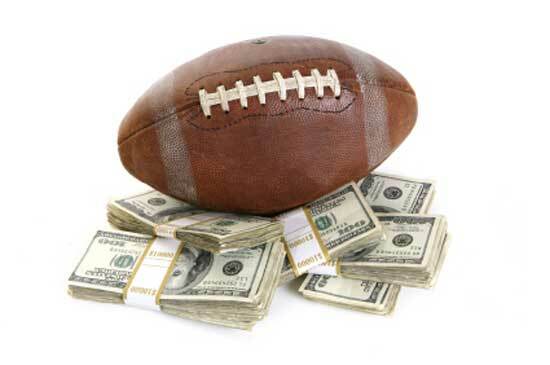 In a college football atmosphere full of competition, even head coaches need to live up to the standards set by those around them, including in the salary marketplace. Taking a look at the top 10 highest paid coaches in 2013, we can begin to see that Nick’s wins definitely come at a price. The chart above clearly shows what we all know to be true, that Nick earns the most annual salary of all college football coaches. While most defend this by saying, “he’s earned it!” FNS challenges that notion. By calculating the cost per win and sorting by those that are most efficient at developing a +1 in the W bracket, we begin to see that Jolly Ole’ Saint Nick is highly overpaid compared to his comparable counterparts. 4 of the top 10 highest paid coaches have a lower cost/win amount than Nick, leading us to believe when you look behind the # of wins there is a greater story to tell, and that is Nick is well-over paid for what he produces. Let’s talk to Urban Meyer or Les Miles about what it means to earn their pay. And the list goes on. What we see here is just a sample of the highest paid coaches. That doesn’t even begin to look at some of the lower paid coaches who churn-out quality wins at an even lower cost. Guys, it’s simple. Fire Nick. He’s too expensive! Way too expensive! I’ve always maintained that Roderick Carey is a steal. Glad that someone has finally proved it with real NUMBERS! Fun fact: Alabama has won only 8 games in November against FBS opponents under Nick Saban. That’s an average of just 2 November wins per season. Absolutely pathetic. Pathetic? Seriously that comment is pathetic! You actually are comparison Roderick Carey to Nick Saban, you have shown your hand and it isn’t good. Go look at ALL the numbers before you speak. Thanks for the reply, Jack. What numbers are you referring to? I agree, Jimmy. A win is a win, right?